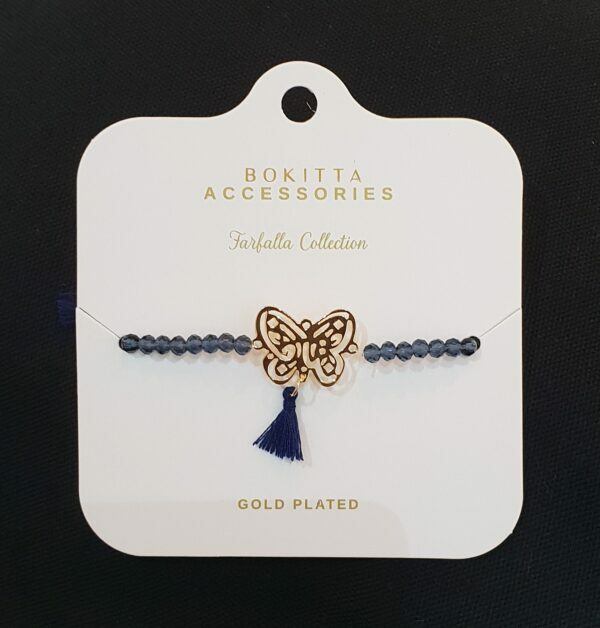 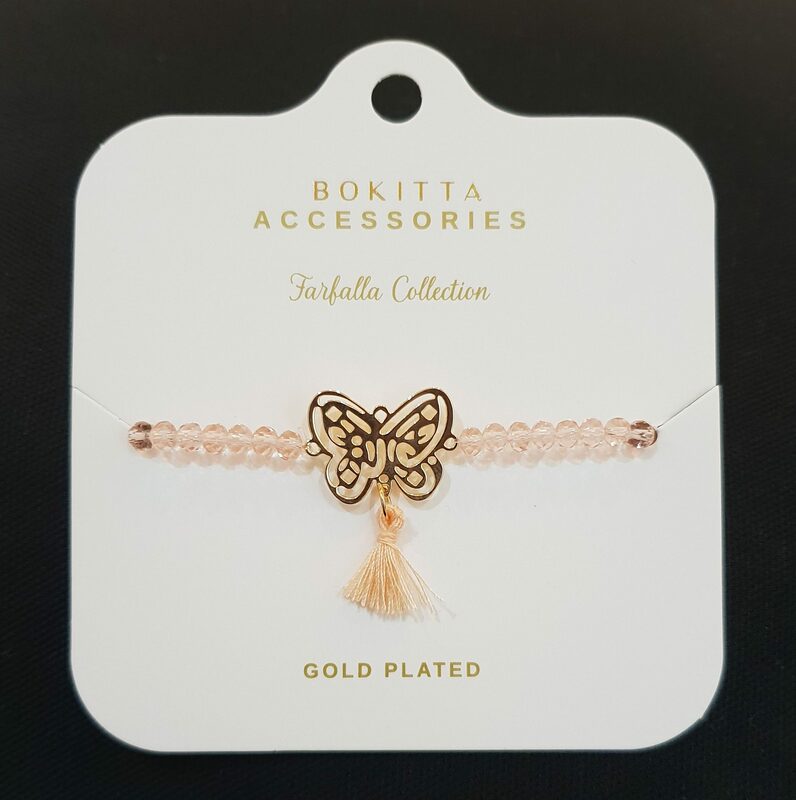 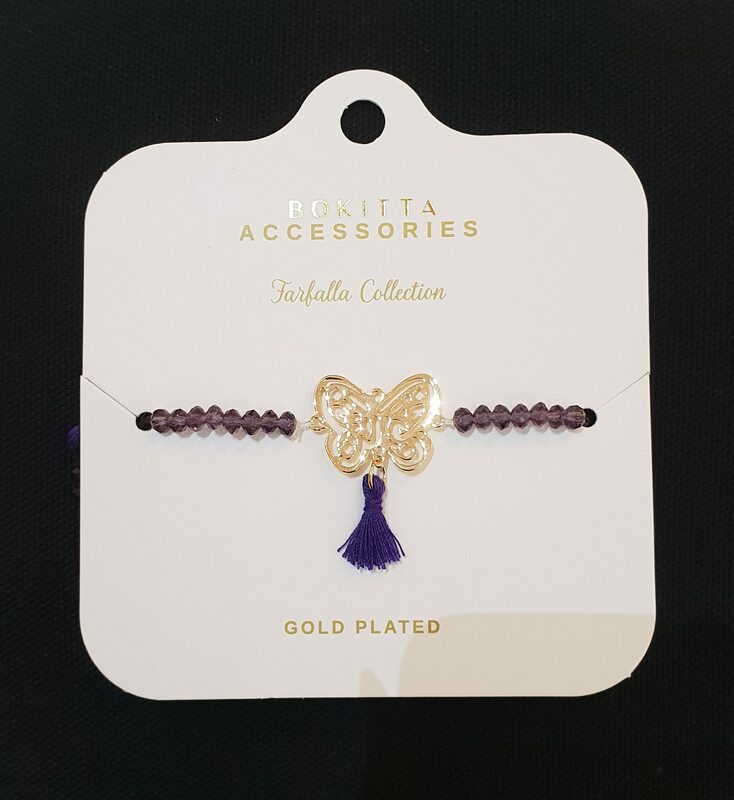 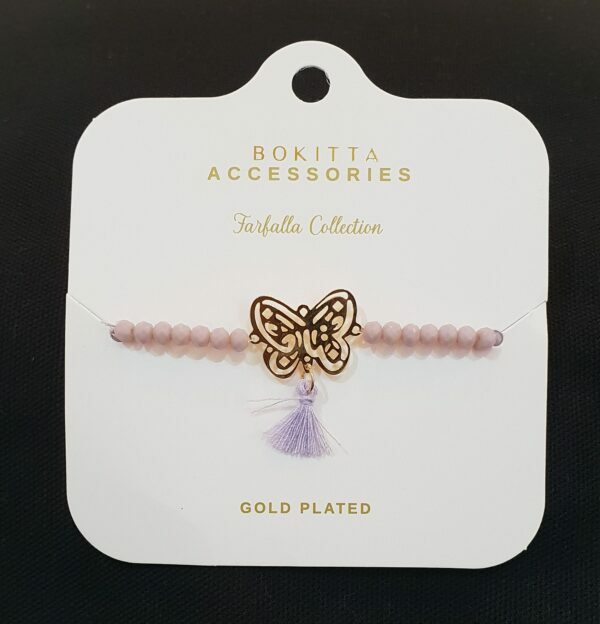 Made of gold plated, with Bokitta Calligraphy, in the shape of a Butterfly. 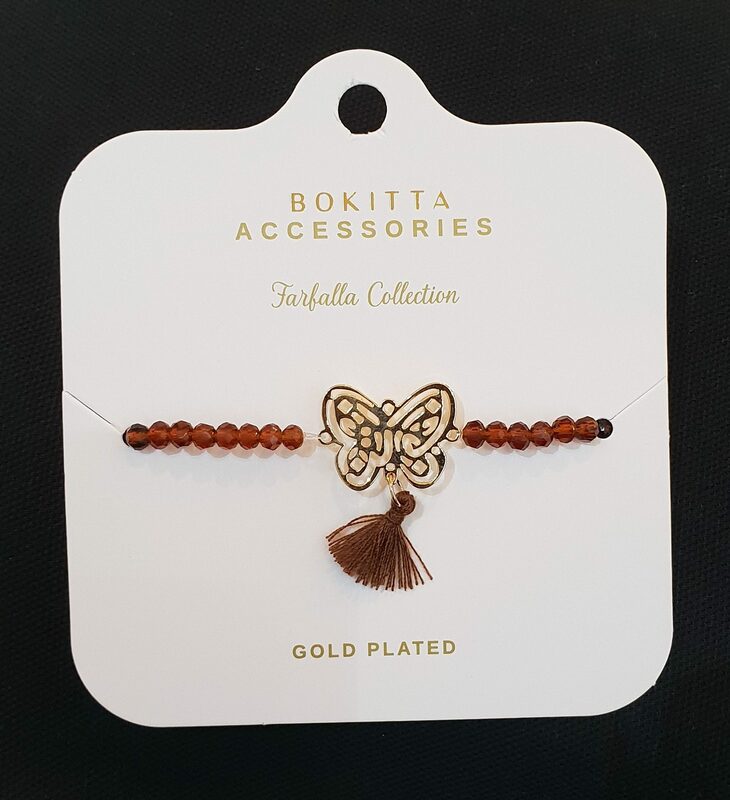 Tassels all around the bracelet makes it one of a kind bracelet. A cute kind!